Mother’s Day is almost here and I just had to share a great gift idea that I recently discovered while working my other job as an Avon Representative. I know most of you have heard of this iconic beauty brand, but do you know the giving side of Avon? The Avon Foundation for Women launched its Speak out against Domestic Violence program back in 2004. One of its main pillars is to fund shelters across the United States that provide safe spaces for women and children in imminent danger where they can heal emotionally and physically, move toward self-sufficiency, and learn positive coping skills. This donation is a powerful message of hope, especially coming from Avon and their local mom bosses. It makes me so proud to be a part of this great company. It makes me want to work harder, stand taller as an Avon Representative and to find ways to give more in my own community. 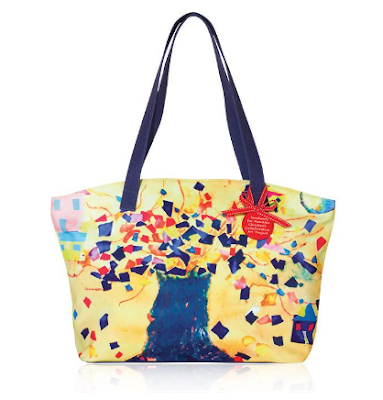 “This donation coincides with the launch of Avon’sBranching Out Empowerment Tote for Mother’s Day 2017, a limited-edition fundraising product honoring domestic violence survivors and created through Avon’s special collaboration with Sanctuary for Families’ Children’s Collaborative Art Project.” Christine Jaworsky, Director of the Avon Foundation’s leading Speak Out Against Domestic Violence Program shared that the painting features a large, colorful tree with many branches – symbolizing the children’s family tree, filled with hope, healing and growth. 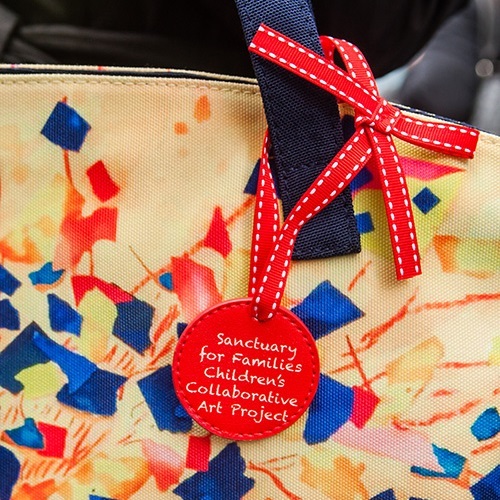 I absolutely LOVE that the art work of children currently living at Sanctuary was used on this tote. It makes its message even more powerful and I will think of the Mother's who were brave enough to leave and seek sanctuary for themselves and their children each time I carry it. Funds raised from the new Empowerment Tote will be donated by Avon to the Avon Foundation to be able to provide more grants for more programs that provide critical services for women and their families. The easiest way to help would be to purchase the Empowerment tote from your local Avon Representative. I am a firm believer in helping where you live! If you don’t currently have a local Avon Representative, just go to Avon.com and use their search tools. If you are reading this and I’m your local or online Avon Representative. You can use my link purchase the Empowerment tote. It should arrive to you in time for Mother's Day if purchased asap! Please note, I will earn a small percentage on this sale by you using my link here, but $3.60 of every sale goes to Avon grants and programs! I sincerely thank you for blessing me with your purchase, which also blesses others and isn’t that a beautiful Mother’s Day gift? I hope you find this information helpful. I’ve felt a pull to share more Avon related posts with you here on my blog. I’ve been with Avon a year and a half and I feel it would be fun and helpful if I shared a glimpse into my direct sales business here since it is a big part of my work at home mom plan. I wish all Moms a very Happy Mother’s Day! Please share in comments: Have you ever purchased an Avon product? If yes, what was it? This giveaway is not associated with nor endorsed by Facebook, Twitter, or any other social channel. My WAHM Plan owner is an Independent Avon Representative and may receive monetary compensation if you purchase the above item. I am embarrassed to say I didn't even know Avon had a foundation for women. I am allergic to so many things that have scents and touches my skin that I don't wear anything except deodorant and one brand of lotion. 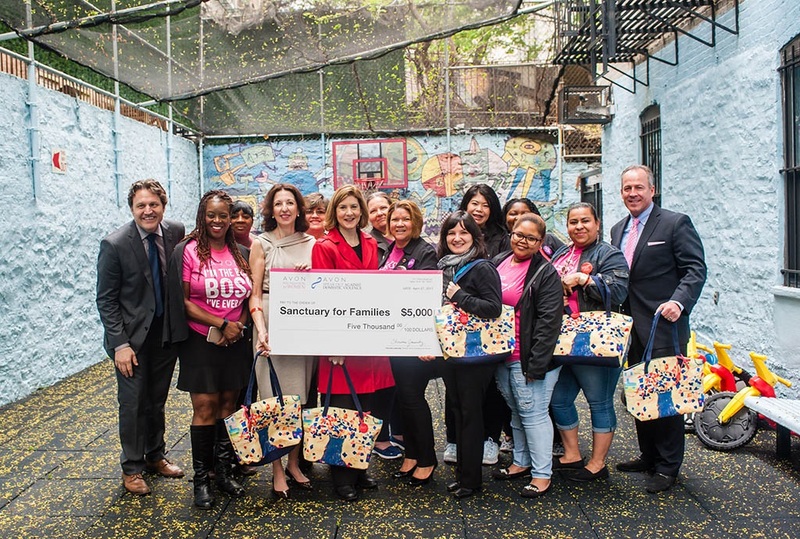 I think it is wonderful that Avon helps Sanctuary for families. I have a post coming that will get more into detail. This tote is beautiful in it's purpose and because of who painted it. That is adorable - what a great gift idea for family! I haven't purchased an Avon product in a few years, but am always looking for great products! What a truly worthy charity that Avon is helping this time around. They really do seem to try and help a lot! I also love that the design on the tote was created by children!! No need for you to feel embarrassed about not knowing about Avon's foundation for women. Lots of people don't know about it. That's why when I saw this colorful tote bag and read about the Sanctuary, I had to share it on the blog. Thank you for stopping by, reading and commenting. I love the cheerful tote bag too. Avon is a great company doing great things in communities big and small, so if sharing this helps you find them (and their great products) I'm a happy blogger/Avon lady! I'm especially proud whenever I see that Avon is doing charitable works that help women and children. I adore the colorful artwork from the kids too.